This garden was supported by a generous grant from the Shannon Foundation and other sources have added to the project since then. (See our Partner's page.) 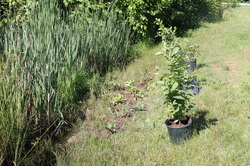 The overgrown bio-fill has been turned into a habitat for wildlife using all native Virginian plants. This garden was established in 2009. It was dedicated to volunteerism, inspired by parent Brenda Yordy, who passed away from cancer that year. 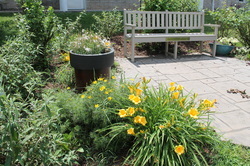 The bench was the 5th grade gift of the class of 2009. This garden was an offshoot of the Wonderful Wetland Habitat. This is a somewhat marshy area that stays wet in places year round. 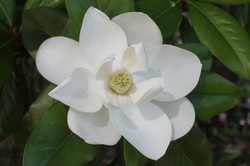 The school grounds includes many species of trees and plants. Here are a few.